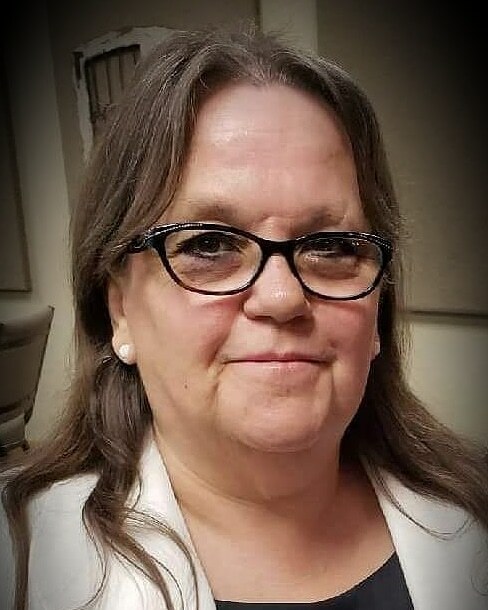 Mona Lou Willis (Vizineau), 63, of Escanaba, passed away peacefully Thursday afternoon, January 31st, 2019 at Aurora St. Luke’s Medical Center in Milwaukee, WI. Mona was born January 20, 1956, in Wells, MI, the daughter of Clarence Raymond and Betty Jane (Congleton) Vizineau. She was united in marriage to her loving husband, Robert L. Willis on December 27, 1975. Mona was one of Jehovah’s Witnesses and a member of the Escanaba congregation for the last 26 years. Mona was a devoted wife to her husband for 43 years. Robert was someone she loved dearly and her love for him was clearly seen by everyone who knew her. She loved being a mother to her four children and a Granny to her eight grandchildren. Mona will always be remembered for her famous cookies, beautifully crocheted colorful blankets, and her love of music, especially Phil Collins and The Bee Gees. One of her favorite past times was sitting on her porch while completing seek-a-word puzzles and visiting with the ones she loved. She also enjoyed watching crime shows with her favorite Rylie Paige. In addition to her husband, Mona is survived by her children: Joshua (Mary) Willis, Michelle White, twins daughters Melissa (Roger) Sevarns & Melinda (Derek Verbrigghe) Willis and her grandchildren: Brittany, Phillip, Marissa, Zachary, Rylie Paige, Hailey, Benjamin and Camden. Her siblings: Ernest (Heidi) Vizineau, Denise Valiquette, Lola (James) Thurber, Brian (Cherie) Vizineau and Lynn Mitchell along with many nieces, nephews and cousins. As well as her beautiful & beloved chihuahua, Winston J. Willis. In addition to her parents, Mona was preceded in death by her brothers: Clarence ‘Butch’ & Julian Vizineau, sisters, Janice Micheau & Lois ‘Liz’ Boggs. The Memorial services will be Saturday, February 9th at the Kingdom Hall of Jehovah’s Witnesses, 3110 Lakeshore Drive in Escanaba. The services will begin at 2:00 pm. A luncheon will follow. The Skradski Family Funeral Homes are assisting the Willis Family. My deepest sympathy to Monas family. RIP, my life long friend. Being neighbors growing up, the fun we had, are some of my best memories. While growing up the Willis house was my second home. So many fond memories with their family. I can’t express the amount of sypothy I feel for her entire family. She has always been a wonderful woman and human being. After growing up and becoming an adult, I didn’t have any reason to drive down the street where Mona and her family lives. But anytime I was down that way and weather was nice I would, just to see if I catch Mona sitting on her porch ( which she loved to do). Please know that I was never just passing through when I would stop and visit you and Robert. Your home was always my destination. Rest In Peace Mona. You will be missed. You have my deepest condolances for the passing of Mona. I have known the Vizeneau family for many years. I am truly sorry for your loss..
We were so sad you had to go through this loss. Mona had faith in the resurrection hope, promised in God’s word. (John 5:28,29) No doubt that faith sustained her through all her trials, and will sustain you now while you wait for the time you will see her again. Mona and I had a lot of fun times together. We first met as teenagers, I was visiting Escanaba, and we were assigned to the same car group for service. We made her sit in the middle since she was so tiny! Years later I had the privilege of studying the Bible with Mona; It was great to see her progress over the years toward the goal of Christian dedication. We became sisters and friends. It was so much fun at her house, kids and family and friends were always in and out, and Mona always made sure we all felt welcome. It was fun watching the kids grow up; I’ll never forget the day I dropped by and she shared the news she was expecting…Twins! All of you kids were (are) so beautiful, just like your Mom. We know it will only be a short time before you can see her again, in good health, and give her a big hug! Until then, May our God, Jehovah comfort you.